Goofy is the only one of Disney’s main characters to have a son. His son’s name is Max. Goofy was originally named Dippy Dawg and was portrayed as a much older version of himself; but, he was later updated to a much younger version and renamed Goofy. Goofy is an anthropomorphic dog. This means that although he looks like a dog, he acts like a human being. Goofy was Walt’s Disney’s personal favorite of all of his characters. The character of goofy has been around for 85 years. Goofy has been voiced by six different voice actors throughout the years, such as, Pinto Colvig and Paul Farmer. 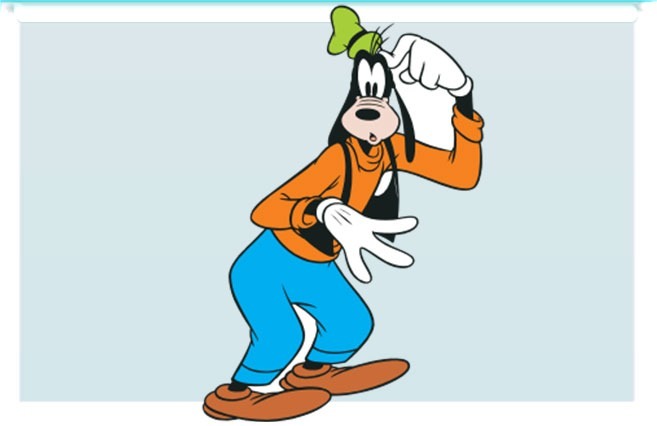 Goofy starred in the “How to” series, because his voice actor at the time had decided to leave the Walt Disney Company, leaving Goofy voiceless for a time. River Country is the name of the first Disney water park; and its official mascot, was originally Goofy. The character of Goofy has been nominated for two Oscars throughout his career. Although not much is known about Goofy’s wife or what she looked like, it has been confirmed that Goofy is a widower. Goofy has a bad habit of smoking.